Organizations and individuals who live and work in populous urban regions of the globe enjoy unprecedented access to connectivity. In “wired” centers, access to on-demand bandwidth has streamlined operations, revolutionized business and built an insatiable demand for more and better digital applications. However, communication services outside of cities has not kept pace. 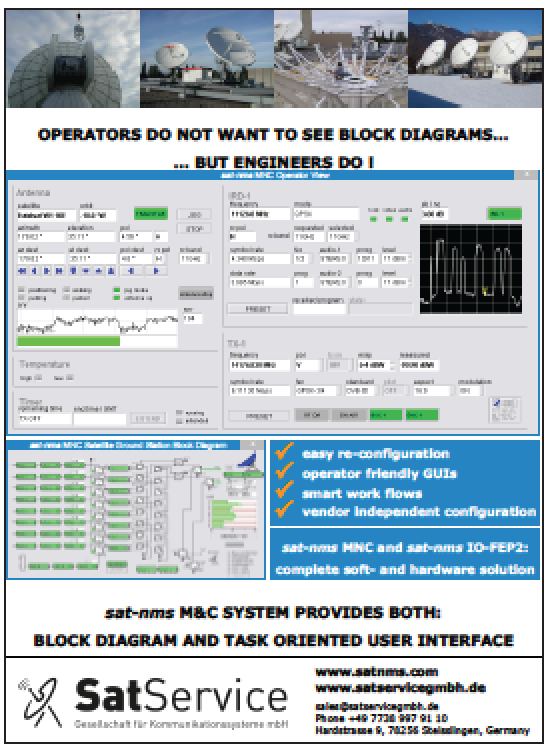 Even with large cellular networks and the proliferation of fiber optics, there are many areas where lack of access to reliable high-throughput data services is holding back essential activities. 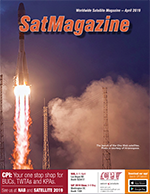 Satellites are still required to fill global connectivity gaps, and new technological advancements are bringing enhanced communications capabilities to regions that are currently underserved. Some satellite operators are taking advantage of standardized CubeSat platforms to quickly and inexpensively deliver satellites to orbit. From their Toronto office, Kepler Communications has leapfrogged the competition by using smallsat platforms to meet the growing need for connectivity in underserved markets. Having already begun launching their planned 140-satellite constellation, the company is serving clients that require wideband connectivity for polar operations, which are outside the coverage of traditional satellites. As sea ice retreats and there is an increase in activity at the poles, the demand for bandwidth grows. Industries, such as shipping, natural resources, tourism, science, and governments, all operate at extreme latitudes with an insatiable hunger for bandwidth. For shipping in the northern hemisphere, the biggest news item during the past decade has been the expansion of northern routes for commercial shipping. The amount of shipping traffic in the Arctic circle has been steadily increasing over the past few years and many long-range weather models predict that even the Transpolar Sea Route, which passes directly over the north pole, may become a viable route for shipping traffic. Once considered impassable, these waters are expected to witness increasing levels of traffic over the coming decades. 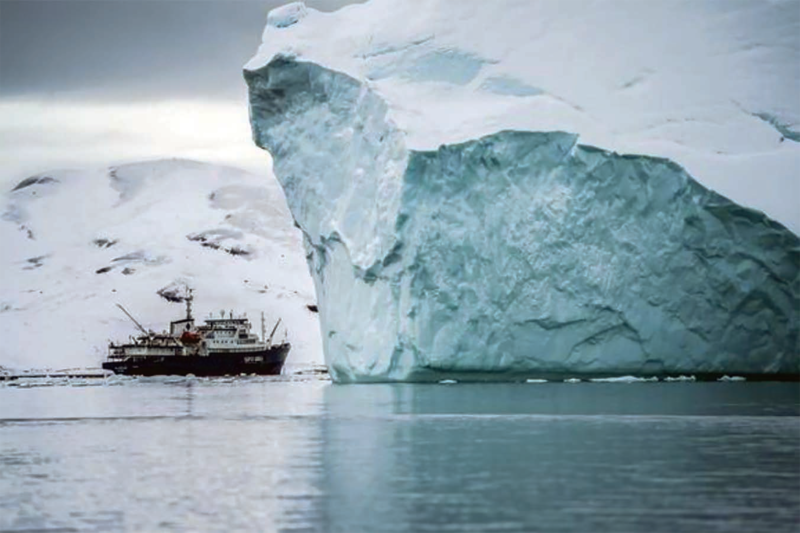 However, as Arctic shipping is now possible, such does not mean navigation is easy to accomplish, as Arctic weather is extremely unpredictable. To this date, vessel operators in the Arctic rely mostly on low-res ice flow imaging to assess the route conditions. This imaging assists in identifying the status of pressured ice and helps to make decisions on the most desirable route. If available, high-bandwidth connectivity could allow shippers to source high-res imagery to improve navigation through these icy waters. However, at the Earth’s extremes, high-throughput connectivity still seems far from possible and represents a daily challenge that is faced by many other industries that operate in these high latitudes. Artistic rendition of a Kepler smallsat on-orbit. Oil and gas, transportation and tourism, research and resource exploration, all encounter the same limitations where access to bandwidth through existent services can allow for no more than 10 GBs of data a day. The usual go-to for communications technology in remote locations is satellite. All that’s required is a clear view of the satellite in the sky. However, because of the curve of the globe, access to geostationary orbiting (GEO) satellites is problematic from Arctic latitudes because they are all located high above the equator. At the Earth’s poles, a signal from GEO can easily be blocked by local obstacles such as trees, mountains, rolling sea waves and, eventually, the curvature of the Earth. 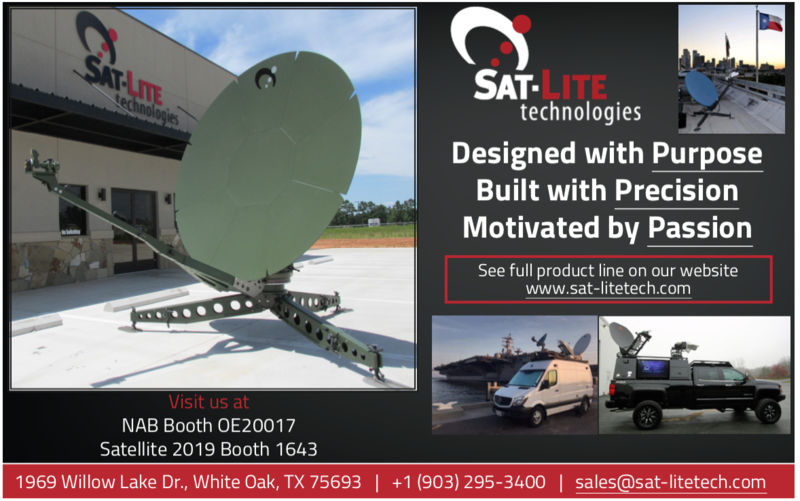 The only available satellite solution that provides pole-to-pole coverage is characterized as having low bandwidth and high costs, making that option unappealing for most applications. A new communication service that uses high-bandwidth, polar-orbiting satellites is set to significantly increase the capability onboard vessels to assist them in safely navigating the Arctic, enabling mariners’ access to high-res ice flow imaging, top-notch weather prediction, route data to make intelligent decisions, as well as onboard entertainment. 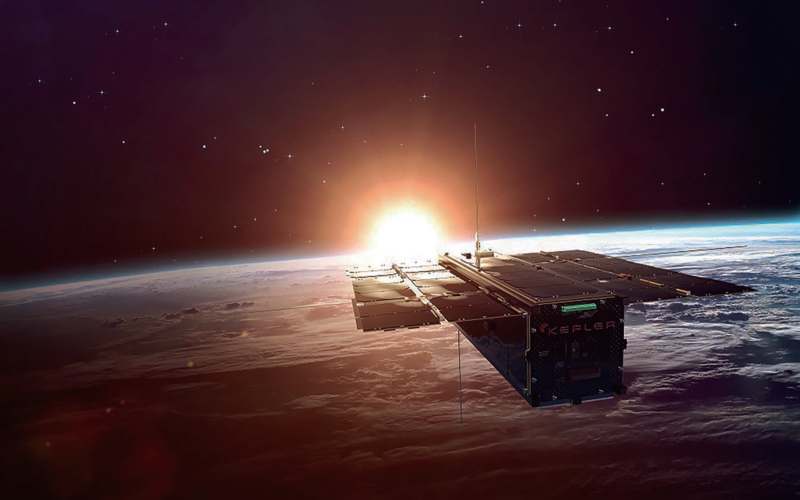 Kepler’s constellation of small Low Earth Orbit (LEO) satellites is providing a solution to connectivity at extreme latitudes. Each satellite passes the poles every 90 minutes, and with two satellites now in service and a third on the way in the coming months, Kepler’s PolarConnect solution delivers high-throughput store-and-forward capabilities. To make use of PolarConnect, users can repurpose their existing steerable VSAT antennas to move from 10 to 75 GB of data per day. The service is initially tailored toward delay-tolerant data transfer, such as multimedia, large research file, hydrographic data, or even emails. As additional, rapidly-deployable LEO satellites are added to the network, available throughput increases and network latency decreases. Taking advantage of smallsat platforms gives Kepler the ability to rapidly integrate new technology and capabilities into their platform. Traditional satellites require a decade or more to develop and can cost hundreds of millions to billions of dollars to get into service. This methodology imposes the need for the satellite infrastructure to remain in service for a decade or more just to recoup their capital cost. 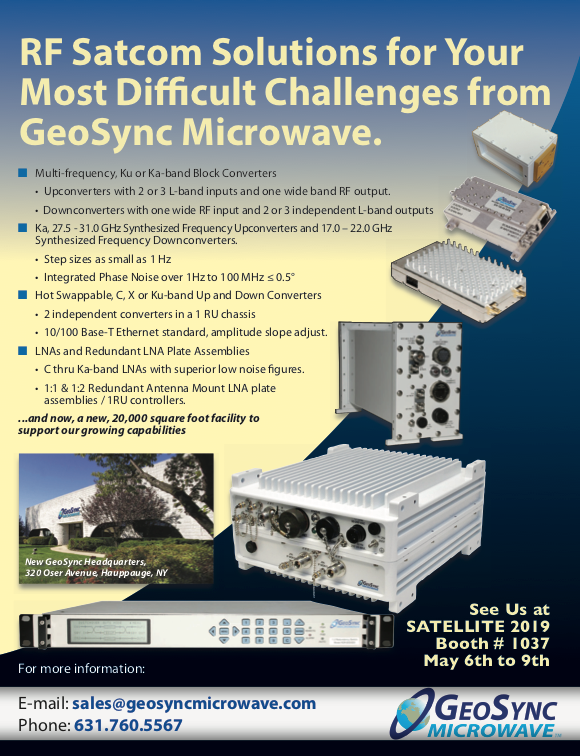 Ultimately, this means that SATCOM customers often are using 10 to 20 year old technology. On the contrary, smallsats require a fraction of the cost and can be delivered into service within months. This drastically increases the rate of new technology adoption for the satcom industry. LEO and GEO networks have many distinctions that can make them better suited for specific applications. For instance, as GEO satellites are parked at a fixed location in the sky, a simple static satellite dish is needed for fixed applications (such as broadcasting television stations or radio communications from permanent sites). Conversely, LEOs “move” in relation to a fixed ground spot, necessitating a more complex mobile tracking antenna for high-throughput applications. Therefore, LEO networks are more applicable for mobile applications where the need for a tracking antenna also exists when using GEO networks. Essentially, a single GEO satellite is able to deliver real-time communications to a large geographic region. In contrast, a large number of satellites are required to provide persistent communications through LEO networks. 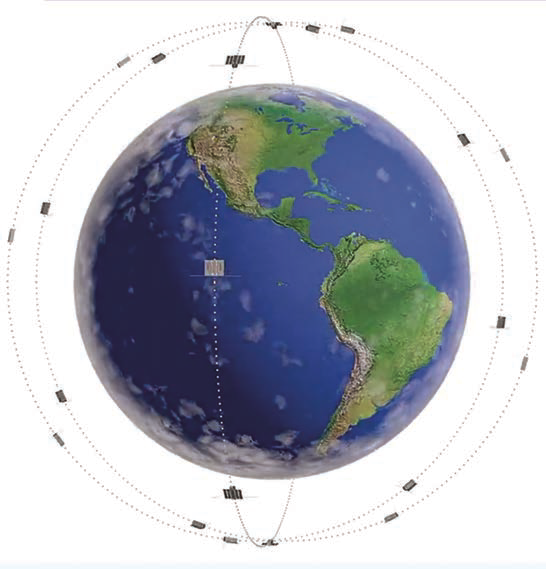 Nevertheless, a single LEO satellite is able to transfer delay-tolerant data in a store-and-forward fashion. This capability can increase the total bandwidth delivered to the end customer as well as be used to improve the quality of an existent, real-time GEO service by offloading non-time critical data transfers. Kepler’s PolarConnect solution functions essentially as a remote dropbox for large data files that are too expensive and consume too much bandwidth to send via real-time GEO links. 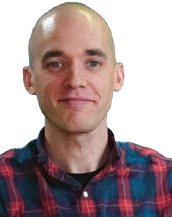 Looking to the future, in the coming years Kepler will be adding to the company’s initial wideband data service a narrowband offering to connect Internet of Things (IoT) devices. Currently, IoT growth is hampered by the fact that cellular networks lack a global standard. As of this writing, the increasing necessity for a standardized global network remains as one of the top hurdles to overcome for IoT device manufacturers. With dozens of different LTE frequency bands used globally, no single wireless module is capable of connecting across all the networks, and across all borders. This creates a challenge when deploying IoT solutions that need to work seamlessly around the planet. Kepler developing solution to this problem is through the use of smallsatss and a low-power, low-cost, ultra-small, bi-directional transceiver to bring cellular-like connectivity to millions of devices in the IoT market. Everything Kepler accomplishes is with an eye toward the firm’s ultimate goal of in-space connectivity — Kepler is intent on doing this sustainably. With their recent $16 million Series A round of investment, the company will start to roll-out their 15 satellite constellation that will be focused on wideband data services. Incrementally, the company will transition toward delivering cellular-quality narrowband connectivity in future satellites. Kepler’s accomplishments, to date, are a testament to the core strength of being able to build, launch, and operate highly capable communication satellites quickly. A principal desire for Kepler is to continue to strengthen existing relationships and to build new partnerships in the space industry, taking advantage of Kepler’s core competency, that being to be able to collaboratively reach the goal of in-space connectivity.